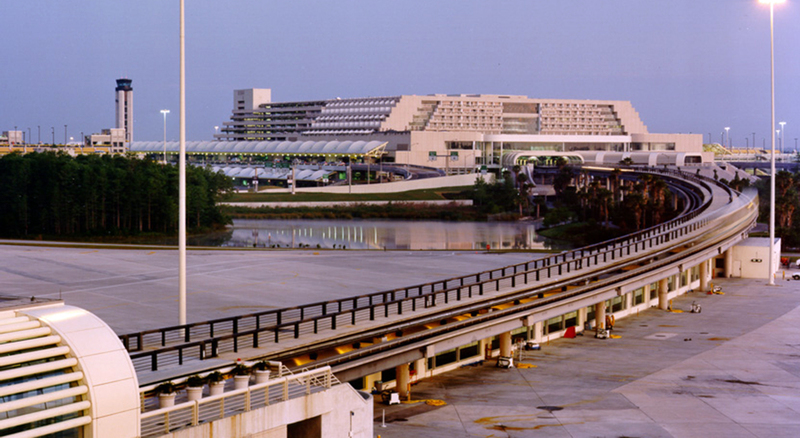 KBJ began design services for Orlando International Airport in 1978, and together with the design team established the concept of an expandable airport set in a garden, with majestic lakes, extensive natural lawns and groves of tropical plantings. Following the completion of phase I expansion, KBJ was selected as prime professional for the phase II expansion program and master plan design. Recognizing that OIA would be a destination terminal and demand high volumes of rental cars, KBJ and the team of planners developed the landside terminal as 3-levels, instead of the traditional 2 levels. The terminal has two sides, designated as A and B, which produce generous lengths of accessible curbside. The ground level provides spaces for rental cars, tour buses, and vans. The second level provides bag claim, bag makeup, and lengthy ground transportation curbside. The third level enplaning curbsides provide access to ticket counters, concessions, waiting areas, and the Automated Guide Way Transit shuttle lobbies.Each of the two airside terminals provide 24 gates. 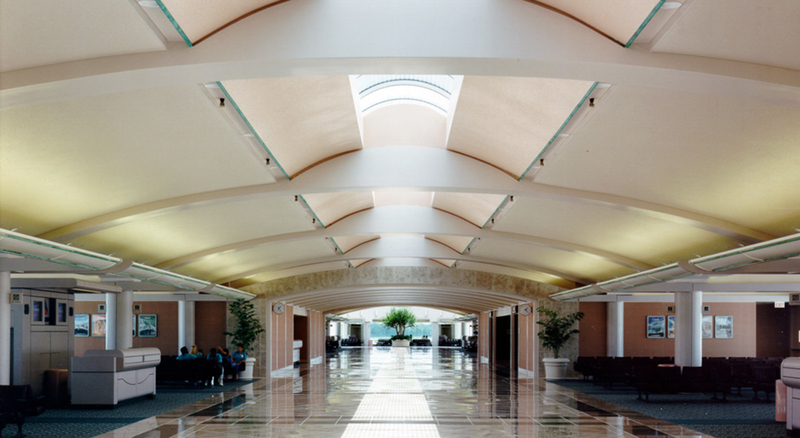 Orlando International Airport has evolved as a showcase of esthetics, passenger convenience, expansion flexibility, and environmental responsiveness. 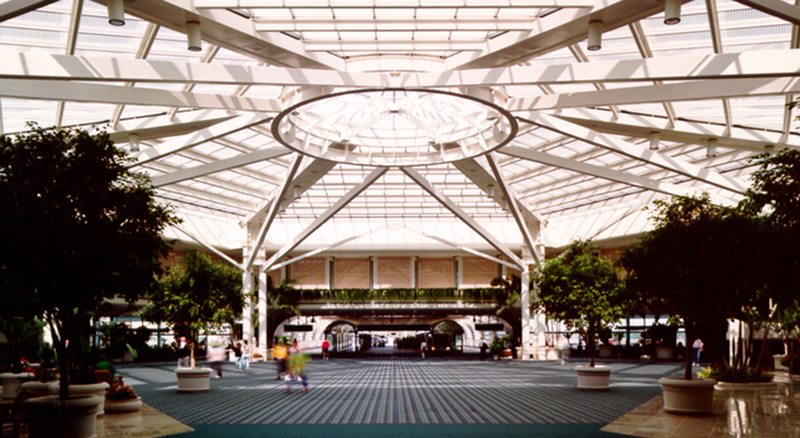 It has emerged as an architectural and technological model for airport design. It is consistently voted by the public as one of the most convenient and popular airports in the world. The airport now serves over 21 million passengers annually. By the end of this century, when the fourth airside terminal is complete, OIA will provide over 100 gates and serve 30 million passengers annually.